At the core of our being, the very root of what determines our quality of life is our self-worth. For decades we have tried to have faith without having self-worth. In fact, religion has tried to convince us that humility is the same as feeling bad about oneself, which makes it impossible to have faith. The quality of our life will never rise above our self-worth. 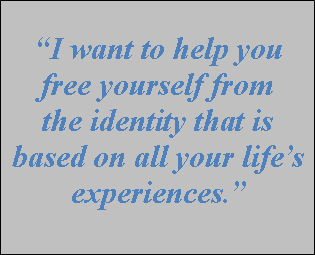 Anything we experience that is greater than our self-worth provokes feelings of unworthiness. Feelings of unworthiness cause wavering and condemnation. 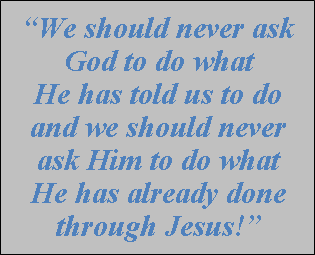 Faith, on the other hand, is an unwavering trust in the character and Word of God. In order to operate unwavering faith we have to see God as He is, but we also have to see ourselves as we are in Christ. 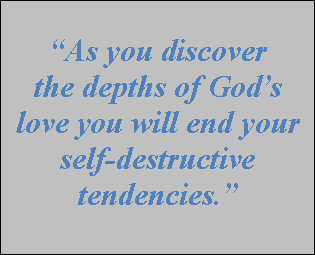 We must be immovable concerning God’s love and acceptance for us. We must see ourselves as righteous in Christ. It is usually a poor self-worth that creates that nagging uncertainty or feelings of discomfort when we attempt to believe and receive God’s promises. Sometimes it’s like we have this inner voice that keeps whispering, “You aren’t good enough for this!” This leads us to either unbelief or wavering. Unbelief, which is something we all deal with at times, doesn’t necessarily mean we don’t believe God’s promises are true. It usually means we are not sure they are true for us, now, at this moment. In psychology we have what are called Psychological Reversals. A PR is when we consciously desire something and even state that we belief it, but on a more subconscious level we don’t believe it, or don’t feel worthy. The ultimate cure for feelings of unworthiness can be resolved by three realities. Establish your heart in the fact that you are in Jesus. Therefore, you are a new creation with a new identity. Establish your heart in the fact that your qualification for your inheritance is because you are in Christ. Live a life worthy of what we have in Christ. When our behavior contradicts our new nature our heart condemns us. Our mind says, “I’m worthy” but our heart says, “Your behavior doesn’t look like it.” My message entitled, Self-worth: The Matrix of Life, will walk you through these realities. Making choices about these three issues will become the foundation of your faith. 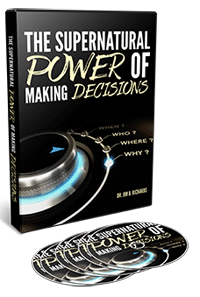 This will change the quality of every decision you make, it will change what you allow into your life and what you reject from your life. It will establish you in the very core of what it means to be born again. 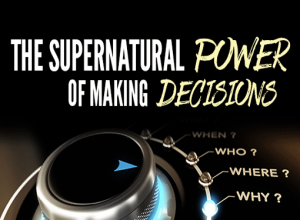 If you desire to know more about how to apply these truths to your life tap here to find out about the complete series, The Supernatural Power of Making Decisions. PreviousWhat’s the first thing you feel or think when something negative happens? NextIs it true that if I do what others did I will have the same success they have? I hear you talk a lot about our identity, but I still struggle with recognizing my identity in Christ. I’m not sure I have enough faith to please God!